Conquest’s Golden Rose Property encompasses patented and staked mining claims measuring 770 hectares in size that encompass the former Golden Rose gold mine and highly prospective North and South banded iron formations at Emerald Lake. The property is located 65 kilometres northeast of Sudbury, Ontario in Afton and Scholes townships. 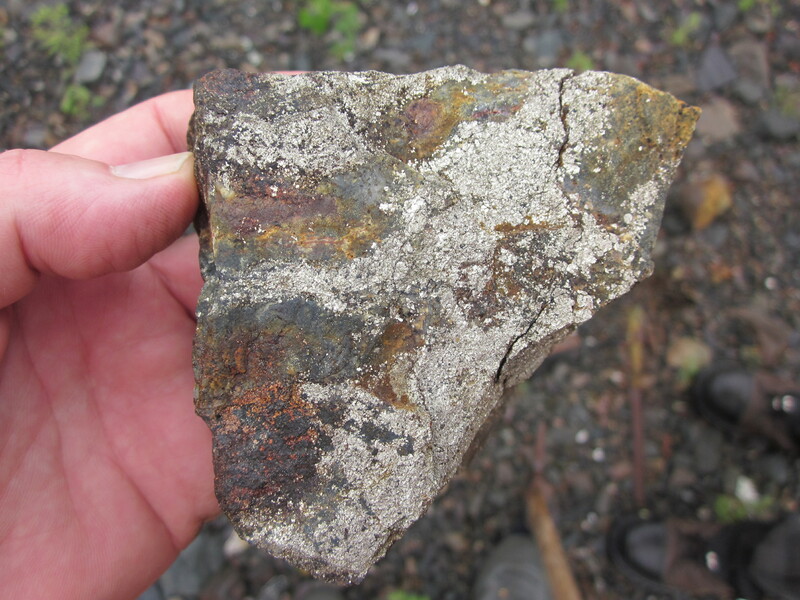 Through its wholly owned subsidiary, Northern Nickel Mining Inc., Conquest owns four (4) Mining Leases and thirty-three (33) Staked Mining Claims at Emerald Lake. This contiguous land package is known as the Golden Rose Property which is accessible by all season road (ON-805) on the shores of Emerald Lake. 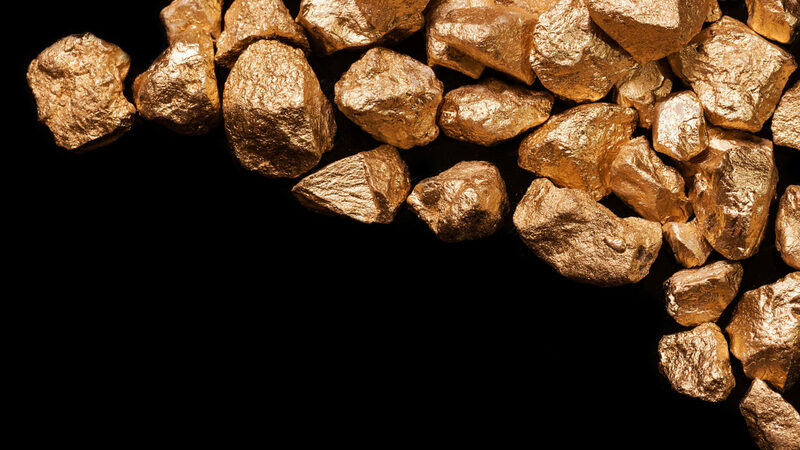 Free milling gold was first discovered in 1897 in weathered iron formation on the shores of Emerald Lake. The Golden Rose Mining Company built a small mine on the property and recovered undisclosed amounts of gold from 1915 to 1919. 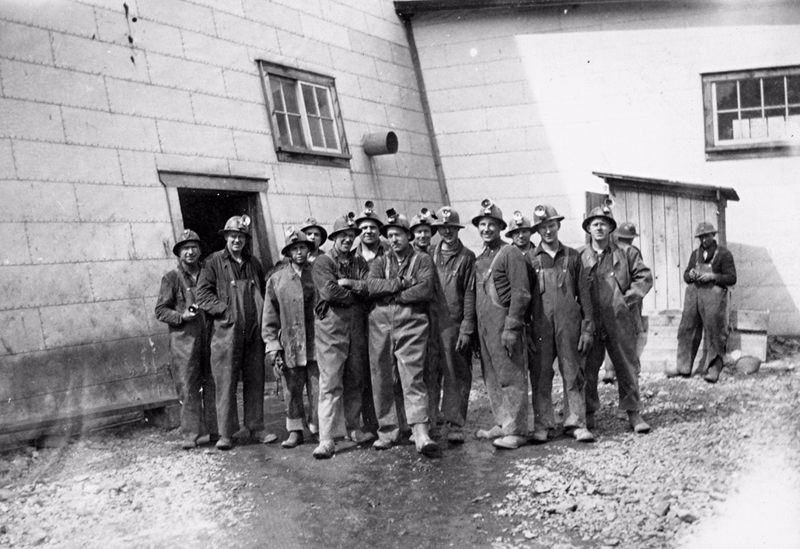 In 1935 to 1941 Consolidated Mining and Smelting Company of Canada deepened the shaft to 228 metres (749 feet), with a total of 4,815 metres (15,795 feet) of lateral development supplying a 100 ton per day mill with ore that operated until 1941 when the Second World War indirectly forced the closure of the mine in support of the war effort. 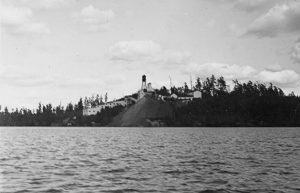 At that time, the mine was developed by a vertical shaft 228 metres deep with five (5) levels and an inclined shaft from the fifth level opens up two (2) more levels below that elevation for a total of seven (7) levels. 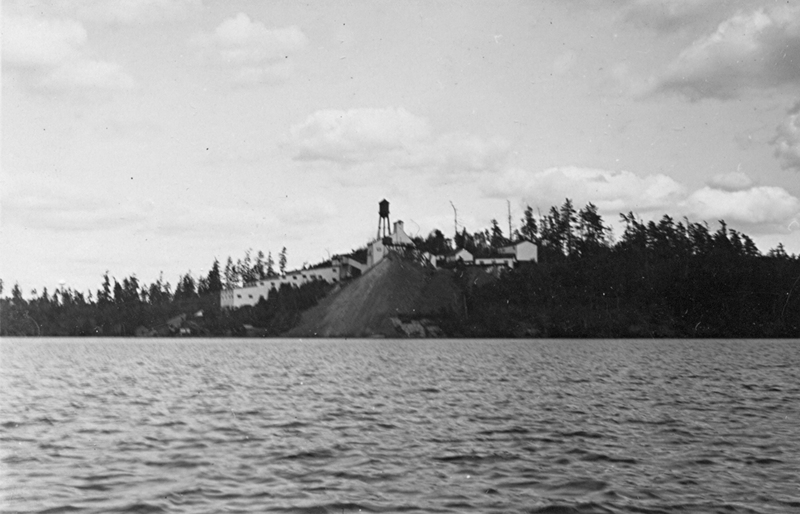 The vertical shaft was collared on top of a hill on the property some 23 metres (75 feet) above the elevation of Emerald Lake. An adit just above the lake elevation provided access to the shaft. Cominco produced over 46,000 ounces of gold from the mine from one hundred and forty-five thousand (145,000) tons of ore averaging a reported mill head grade of 0.40 ounces of gold per ton and a reported recovery of 0.32 ounces of gold per ton. 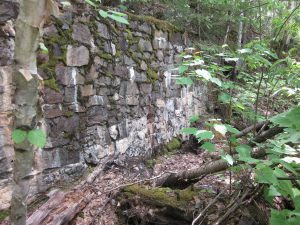 The property largely lay dormant from 1941 to 1982, when exploration resumed under the ownership of Emerald Lake Resources Inc.. 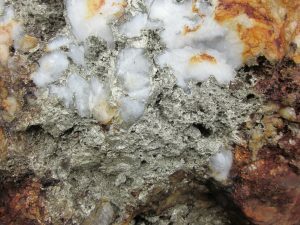 Surface diamond drilling exploration successfully defined an extended gold deposit adjacent to, but closer to surface than, the Cominco mine workings. Many deep intersections were discovered later in underground drilling from the dewatered mine workings at a depth of 300 vertical metres. 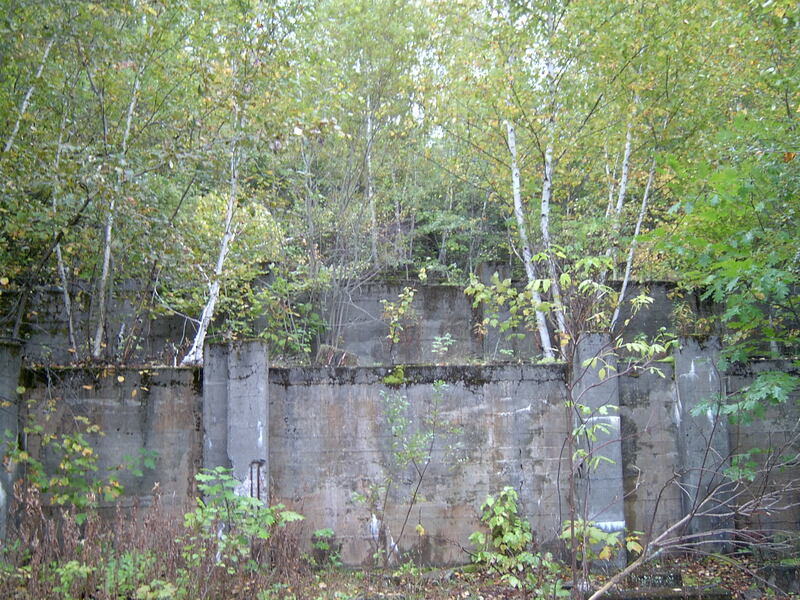 In 1985, the mine was pumped out and a 3.3 metre high by 4.2 metre wide (11-foot by 14-foot) decline ramp commenced. The ramp was collared at the existing adit entrance, and followed the adit for 30 metres (100 feet) where it then descends at a grade of 15% to a depth of about 243 metres (800 feet) vertically providing excellent access to evaluate the high-grade areas. 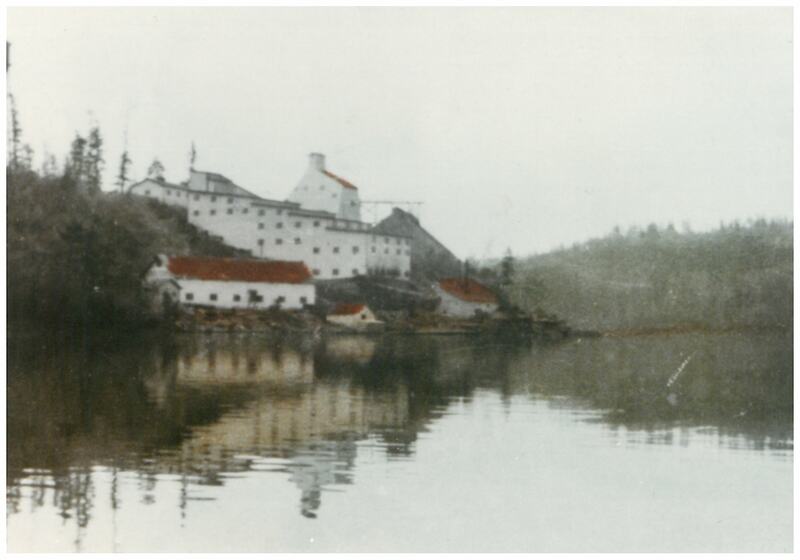 In 1986, Noramco Mining Corporation (through its subsidiary Emerald Lake Resources Inc.) constructed a 400-ton per day mill and tailings facility at the mine in anticipation of bulk tonnage mining. Shortly thereafter, Noramco completed the new access ramp measuring 1,400 metres (4,600 feet) in length to bottom levels of the mine. 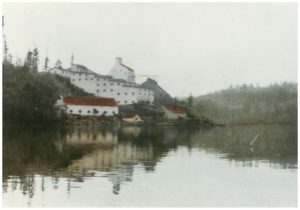 After only two years of modern development work, the mine was forced to close yet again due to external circumstances relating to a reorganization and take-over of the company. 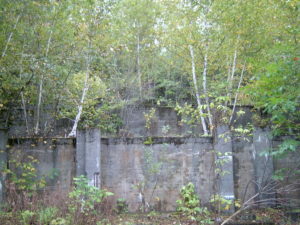 Only a small portion of the property has been actively explored and the deposit remains open at depth and along strike. 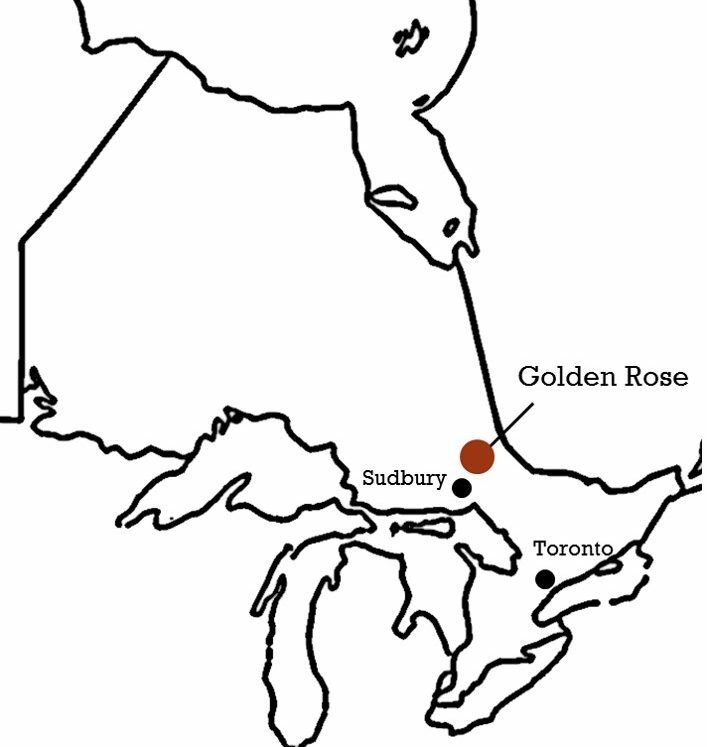 The Golden Rose deposit is located within iron formation stratigraphy similar to that hosting gold deposits at Musselwhite and in the Geraldton-Beardmore and Pickle Lake areas in Ontario, and the Lupin Mine in the Northwest Territories. 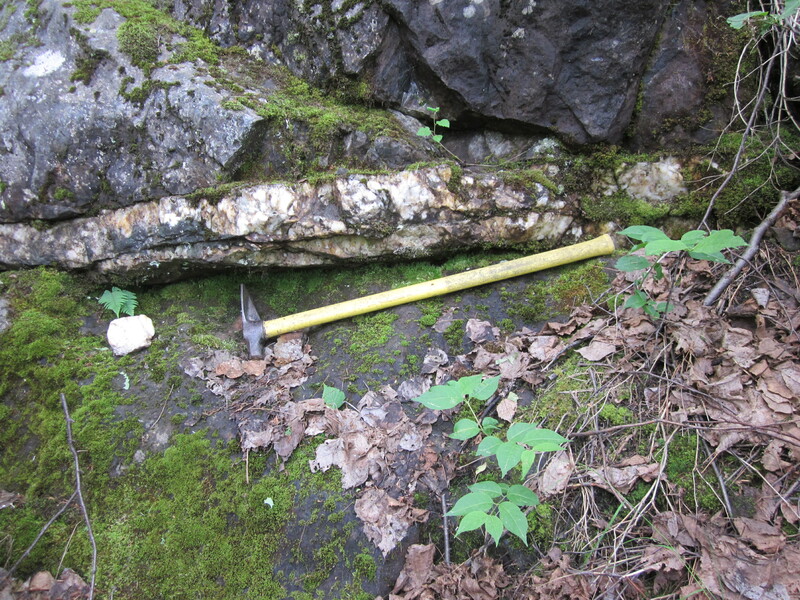 The gold mineralization at Golden Rose is associated with sulphide facies iron formation, quartz-carbonate veining, and albite porphyry intrusions. 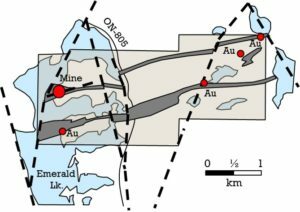 Historical studies of the gold mineralization at the Golden Rose mine conclude that mineralization is characterized by coarse gold that is free-milling whereby acceptable recoveries can be reached using gravimetric separation at a coarse grind. Gold mineralization at Golden Rose is characterized by as a series of broad mineralized lenses that are joined by high-grade quartz-carbonate veins often measure from 4.5 up to 30 metres in composite thickness. 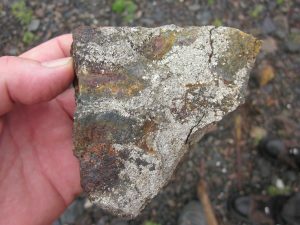 The gold deposit is plunging to the south east within the iron formation, which has a northeast strike and a dip near vertical. Underground exploration by Emerald Lake Resources Inc. suggests that there is excellent potential for additional gold mineralization to the west, east, and down plunge below the existing workings. 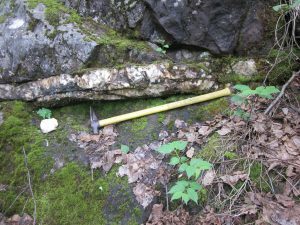 In addition, the mineralized environment is continuous over several miles within the property boundaries. 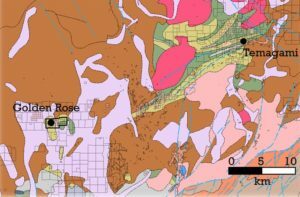 Drilling and underground mapping by the previous operators define a core zone of gold mineralization measuring 650 metres long and has been defined to approximately 300 vertical metres. 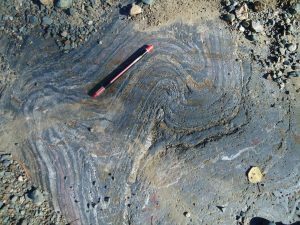 Historical drill hole records indicate that there is good potential of additional zones of mineralization with many high-grade intersections often present within a single drill hole. 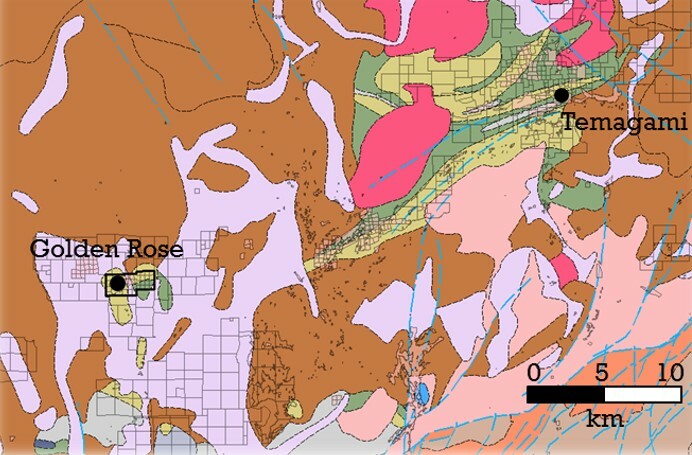 The high-grade nature of the gold mineralization associated with the Golden Rose deposit, and similarities to known developed deposits, suggest that possible resources could exist to depths well in excess of 300 vertical metres the untested areas below the deepest mine workings. Gold mineralization at the Golden Rose occurs mainly as free gold associated with quartz and coarse pyrite crystals, and gold tellurides. 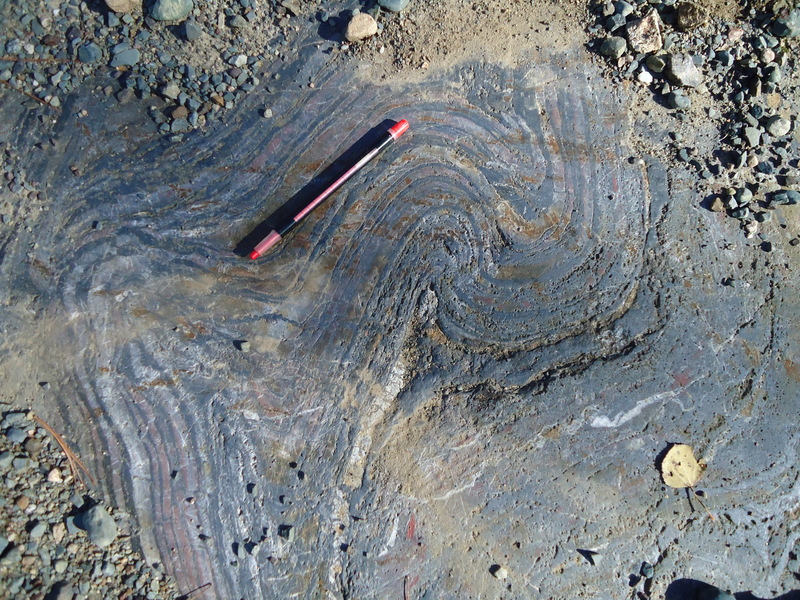 Mineralized zones occur as quartz veins within and next to a pre-Cambrian aged jasper and magnetite iron formation, known locally as the "North BIF", that has been traced for four miles across the property and continues on strike to the east of the property. 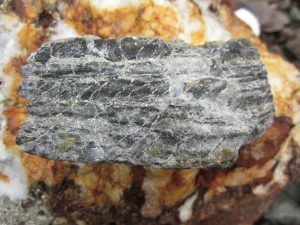 A second band of the iron formation known as the "South BIF" also transects the property which has a number of gold occurrences that have not been well explored. 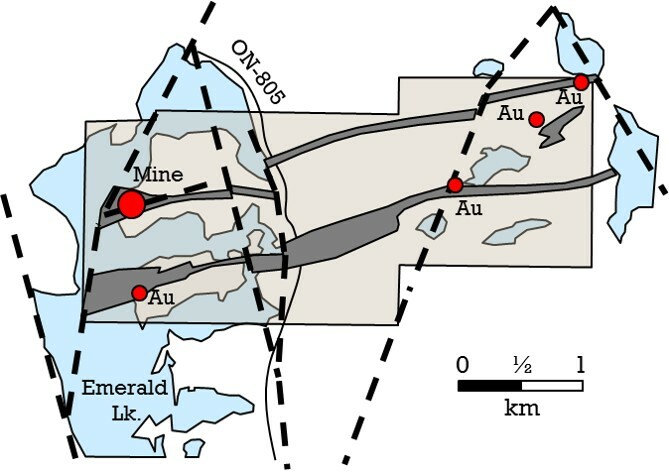 Numerous exploration targets exist along these North and South BIFs where gold occurrences are known to exist that have seen no systematic historical exploration. Conquest's exploration model is underpinned by an evolving compilation of 120 years of historical documentation relating to stratigraphy, mineralization, geophysical data, and structural geology. 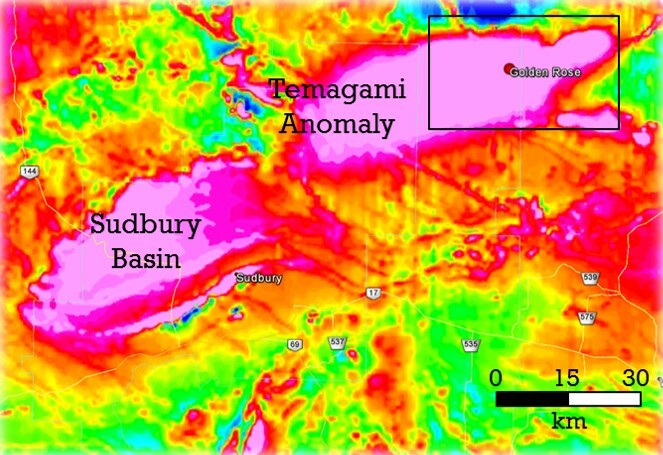 Interpretation of this compiled data, in addition to Conquest's planned exploration programs involving geophysics, alteration geochemistry and diamond drilling form the backbone of the Company's strategy for gold discovery on the Golden Rose Property.